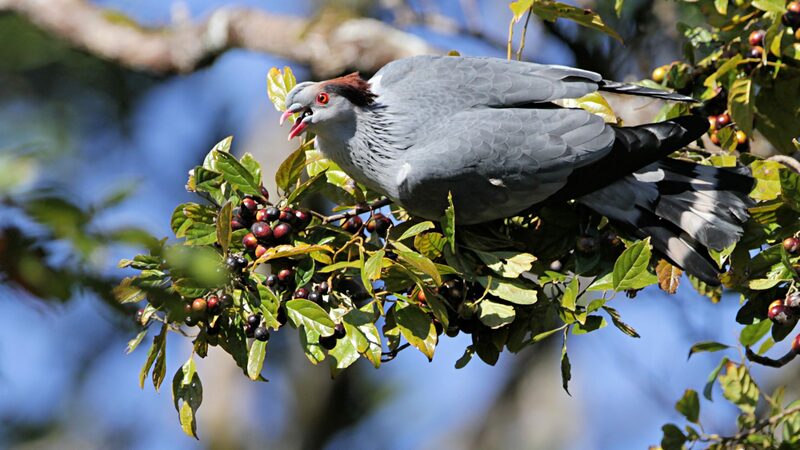 A Topknot Pigeon feeding on the berries of a rainforest tree while nearby, Eungella Honeyeaters hawked for insects. *Boles, Walter E; Edden, Robert (1990). 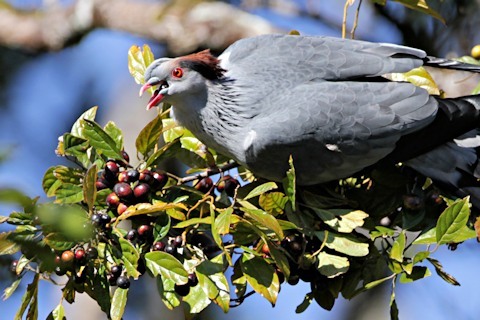 Birds of Australian Rainforests. The Currawong Press, p.39.